The normal heartbeat is generated just like clockwork by electric signals sent out from a natural pacemaker known as the sinus node. Normal individuals have heart rates of between 60-90 beats per minute. This is actually slower than the natural pacemaker of the heart, partly because there is the slowing influence of the nervous system known as vagal tone. Typically, patients with inappropriate sinus tachycardia have a resting heart rate of >100 beats/minute and not explained by other causes (such as arrhythmias like Afib with RVR or sinus arrhyhthmia). In patients with inappropriate sinus tachycardia (IST), even minimal levels of activity can result in rapid acceleration of heart rate that may cause some of those affected to severely limit their levels of activity. Symptoms of inappropriate sinus tachycardia may include palpitations (sometimes described as heart flutter), feeling dizzy, weakness, anxiety, and a sensation of almost passing out. Interestingly the symptoms are not always associated with the resting heart rate. Whereas normally the heart rate recovers fairly rapidly after exercise, the recovery of heart rate to a normal level may be prolonged in those with inappropriate sinus tachycardia. In some people, the sinus heart rate normally increases in response to certain situations such as ingestion of caffeine, fever, anxiety etc. however this reverses when the stimulus is removed. In patients with inappropriate sinus tachycardia the increased heart rate is generally a more permanent problem. Most patients with inappropriate sinus tachycardia are young females. The good news is that the prognosis is typically benign with few long-term consequences. Although the prognosis is benign, the symptoms can be very limiting in some patients. 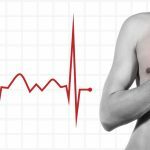 One of the most important aspects of evaluating someone for inappropriate sinus tachycardia is excluding other possible causes of a fast heart rate. Other arrhythmias have to be ruled out. Many commonly ingested substances such as alcohol, tobacco and caffeine are often the cause. Drugs such as methamphetamines and cocaine, as well as many commonly used medications such as those in inhalers used as breathing treatments. It’s important to rule out underlying medical conditions also when evaluating inappropriate sinus tachycardia. These include pain, fever, dehydration, high thyroid hormone levels and underlying heart conditions. It’s also important that inappropriate sinus tachycardia is differentiated from POTS syndrome that is characterized by tachycardia on standing. Management of inappropriate sinus tachycardia is typically centered on controlling heart rate and symptoms. Those without symptoms will generally not require treatment. Treatment is also made more difficult by the fact that controlling the heart rate may not necessarily control symptoms. Another major problem is that the therapies used to control heart rate may actually make patients more symptomatic! For this reason, when therapies are considered they should be managed by dedicated specialists. Use of medications to slow the heart rate down, such as beta-blockers, are often ineffective. Of interest, a drug called Ivabradine has recently been demonstrated to effectively lower heart rate although its utility in the setting of inappropriate sinus tachycardia requires further investigation before it can be suggested as a first line therapy. Treatments to treat associated anxiety may be helpful in some cases. Although many treatments are attempted, very few of these are proven to effectively treat IST. The use of procedure such as catheter-based treatments and even surgical treatments for inappropriate sinus tachycardia have been described however these approaches should only be used with extreme caution and only if all other approaches have failed, as the outcomes may potentially worsen. Many experts feel that conditioning by the means of exercise training is the most helpful method of treatment. My major suggestion is to ensure you are evaluated by a specialist with known interest and experience in the management of inappropriate sinus tachycardia. How does this effect a persons immune system? I have constant utis from group b strep and every journal I read says that if it is recurrent, then you have an underlying condition like tachycardia. I can’t really get treated, because I seem healthy, but I get sick a lot. Just wondering if they are related. Thanks! Its the other way round. Tachycardia would result from the infection not the other way round. Tachycardia alone will not predispose to infection. Thanks! Can you remove my last name from this post? Thanks! Have you researched interstitial cystitis? I used to get UTIs all the time and a wise urologist eventually realized I have IC. Are IST patients expected to live less than those without? Can IST develop into a more serious heart condition in the future (15-20 years down the road)? I am a mid 20’s male who recently got diagnosed with IST. I get mild tachycardia from standing up and when trying to increase my exertion levels. My resting HR can average around 80 but can get higher at times. I get palpitations and that feel of increase of HR when standing up, especially from a lying position. Is it possible you have POTS? If your resting HR is around 80, I can’t imagine that you have IST. I am a 25 year old female who is otherwise in great health and under my height to weight BMI. To be specific, I am 5’8″ and 135lbs. When experiencing IST symptoms my HR while SLEEPING is around 78 beats per minute at the absolute lowest. When awake and active (active implying simply standing and walking from my desk to the bathroom [a few hundred feet]) my heart rate can randomly jump to the 140s or 150s. I have had an endoscopy, heart ultrasound, mri, ekg, eeg, 24 hour heart monitor and even a 45 day montior and nothing is wrong with my heart. I also graduated form the university of Kansas with a Psychology degree and KNOW that I have no symptoms of anxiety prior to the high heart rate experiences. This is why I was diagnosed with Inappropriate Sinus Tachycardia. Good luck, because until more is discovered about this…you will just have good and bad days. Unless you want to take medication that may or may not work for the rest of your life. Hi, I have not yet been diagnosed with IST, however I have been through the ringer with tests as you have. EKGs, MRIs, ECHOs, extended EEGs, holters, stress tests, tilt tests, and even an ablation for a supposed AVNRT. But even after the ablation, 6 months later the symptoms re-emerged. What have you been doing to alleviate the symptoms since you were diagnosed? Your story sounds exactly like mine, but my primary keeps casting this off as anxiety, but I’m not anxious. This thing just came out of the blue one day and happens everyday. Please help. Hi. I just had ablation last week for AVNRT, but not even a week later, I had the weirdest palpitations with tachycardia. My heart rate didn’t go up to my usual 180’s, rather around 140. Now the EP thinks I have IST. Awesome. I am feeling so deflated. I’ve had SVT for 25 yrs and finally decided to do something as it was becoming more frequent, episodes lasting 8 hrs and not even Adenosine would stop them. Just want some answers and to live life like a normal person! How have you been managing your IST without meds? My EP cardiologist recently diagnosed me with IST. 8yrs ago I was diagnosed by another cardiologost with palpitations & mild tachycardia after the birth of my third child. I am 38yrs old & in the last year, my symptoms have gotten worse. I just unsuccessfully attempted 20mg Propranolol, but had to quit after 5days due to the side effects. I have always seemed to be more sensitive to any medication overall, but went into it feeling positive & willing to try. I feel like I am at the beginning of my journey with this & am trying to research how to manage living with IST. Any insight or suggestions are welcome! My next goal is to get back into working out but with the help of a personal trainer. Thank you!! I would be interested in the finding of the echo, wouldn’t it essentially be a normal echo? EF% normal? related to your IST? also, are there lab studies that correlate with making a definitive diagnosis? I, myself am trying to rule out causes of my chronic tachycardia, and hopes to treat it before it becomes a “later down the road” issue. The echo usually comes out with a normal result. IST is a diagnosis of the ‘ruling out’ method. No lab studies, no blood tests. A 24-48 hr Holter Monitor will show IST. My suggestion – stop all medications a week before if feasible so as not to skew the results, very important to have the test done by a competent cardiologist that has a specialty in electrophysiology. Hi! This is weirdly hilarious but my name is Taylor too! And we seem basically like twins in terms of this condition! I would love to talk with you further! Please reach out if that’s ok! Hi. I’ve had tachycardia episodes on and off for several years, most of which were explained by my panic disorder or dehydration. (Or both!) My normal heart rate hovers in the low 80s. Last Wednesday my resting heart rate bumped up to 100, and kept rising (probably as I was getting more anxious) to 129. I was scared and went to the ER. The EKG was normal but fast, Sinus Tachycardia; they also noted low magnesium so gave me fluids and magnesium, plus Ativan. The heart rate slowed somewhat to 96 overnight, so they released me. I haven’t back to my normal 80ish level since; it’s usually now 98 – 100. I went to the ER again on Saturday when another escalating heart rate frightened me. This time they double-checked that I didn’t have a DVT or pulmonary embolism (negative) BUT, unlike the earlier visit two days ago, my TSH level was elevated (7). So again they discharged me once my heart rate lowered to 96 or so. I’m supposed to see an endocrinologist plus a follow-up with my GP. I made the appts. but the only free spaces are about three weeks away. And still I’m dealing with this racing heart. I guess what I’m asking is… is this an emergency? How long can one survive tachycardia of with a resting rate of 110 on average, going to 125 at night? Should I be seeing an endocrinologist sooner? Without knowing a more detailed history or examining you and seeing the tracings etc. i can’t really give you an accurate answer regarding risk. A heart rate alone of 110 average is not considered to be dangerous in the short to intermediate term and that alone for a few weeks shouldn’t cause significant problems. A lot of the urgency of the situation comes down to how bad you feel. I would advise a quicker visit to the GP who can basically assess the urgency of the situation for you. 27y/o -at rest my heart rate is sustained from 110-120s. Its has been like this for years. I feel more fatigued and sleep patterns are affected. While working, i would assume my rate is more around 130s. (this is where the palpitations kick in). I have been prescribed metoprolol 25mg BID. My normally low pressure does not do well with metoprolol, regardless of the dosage. So I am now on propranolol 25mg daily. So far no issues with the med, but I still worry about my overall heart function. I am a 19 YO female and have had a tachycardic heart rate for over a year, it slows down every once in a while. I have seen cardiologists. Many of them could not figure anything out. I was diagnosed with gastroparesis about 4 years ago by a GI. I also have had 4-5 bouts of pancreatitis. All the doctors I have seen seem to agree that I have some type of dysautonomia, but no one can figure out the cause. All of my labs came back negative for any kind of disease. I had an electrophysiology study done and it showed that electrically my heart was normal. My echocardiograms have shown nothing either. I had a holter monitor done and it showed my heart rate reaching up to 180 bpm. All events were sinus tachycardia, some had PACs and PVCs. I have been researching ivabradine and IST for a long time now, as I have had a fast heart rate for a while. Sometimes I don’t have many symptoms, but right now I feel like I can’t catch my breath, my heart is always racing, and I am also having angina. Is it possible that I have IST? If so, do you think ivabradine could work? I have tried beta blockers and they drop my blood pressure so low it makes me sick. I am trying to learn as much as I can before seeing my current cardiologist again so I have facts to present to him. Also, I know that ablation is a last resort, but I am in nursing school and if I can’t get this under control is it possible that having a pacemaker put in could potentially help? I am desperate at this point and need something to finally work enough to let me live a life that I can do things in. I am constantly exhausted and can’t even go up a flight of stairs without being completely out of breath and having the feeling that I’m going to pass out. Thank you for your time. 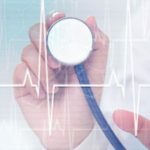 Dr. Mustafa Ahmed, can you recommend any cardiologists specializing in IST in Connecticut? Im sorry, I’m not familiar with that area, i would recommend seeing an EP with an interest in this however. I have ist it is truly awful. I am a female 22. I’ve been experiencing this for some time. My normal resting heart rate is about 76. I get up to 245bpm. I get the occasionally PVCs no more than 3-4 and 2-3 PACs a day. I have a Medtronic loop recorder implanted. According to the data I have these episodes about 10 times a day. I’ve been on beta blockers which tend to lower my blood pressure to about 96/45. Ivabradine cause really bad headaches. I’m really lost. My EP doctor says its nothing to be concerned about but I feel awful. He mentioned an EP study but doesn’t want to do it because I’m only 22. Can this be harmful later down the road? I am seeking a second opinion just wanted to know your thoughts. I am a 22yo female and also have IST. I was diagnosed over a year ago but have experienced the symptoms for much longer. I am on the maximum dose of ivabradine and have been for a full year. I had severe headaches and migraines, particularly in the first few months. I persevered based on the recommendation from my cardio and they eventually went away – I think it is much more tolerable than a beta blocker, at least in the long term. I understand how frustrating and debilitating IST can be. I still have bad days or weeks – even with my “success” on ivabradine. I was also told that ablation is rarely successful in those with IST but I guess there is nothing to lose in trying! Not many doctors actually understand IST and the impact it can have. Whilst it may be relatively benign, the symptoms are horrific. I could barely function before I started treatment! If you don’t feel like you’re being heard, don’t hesitate to get a second opinion! Hello, I am a 20 year old female. For a while now I have felt that there was something with my heart. About a year ago when I went to get a physical my doctor had told me that my heart rate was a bit high (97). I thought that perhaps I just had a naturally fast heart beat. My mom too has a fast heartbeat so I blamed it simply on genetics. Fast forwarding now to about a week ago my heart beat was feeling faster and harder but only for about less than a minute at a time. I though it was a bit strange because it was happening more frequently. It happened on a Sunday and the Tuesday following as well. That Wednesday I made an appointment with my doctor to have it checked out. They had done an EKG on me. As I was laying there it went up to 118. So they made me an appointment with a cardiologist that same day. I was put on a 24 hour heart monitor (we are still waiting for the results). Then again the Saturday and Sunday following I felt yet again another palpation but nothing I couldn’t control. I was able to just focus on my breathing like I had done before and it went away. I made an appointment the next day to see my doctor. My heart rate there was somewhere in the 90s. The doctor explained to me that my heart rhythm seems to be normal (although we are waiting for the 24 heart monitor to confirm that) but my heartbeat is way faster than normal. She also suggested that I learn to take calm deep breaths but basically they aren’t sure what is causing my fast heart rate. It was a relief to have a little more insight on what is happening but also frustrating because there is no answer as to why it is happening. After reading this article it seems as if this is what I am experiencing and knowing that you have knowledge in it perhaps you can give me a little more insight if this is possibly what I have. Its possible, you need to ensure you have ruled out other causes however, including thyroid tests, blood counts, rule out infections, and echocardiogram to assess for underlying structural heart disease. I have been diagnosed with IST after having numerous ECGs, stress tests, echos, chest xrays, extensive blood work (no underlying conditions shown in blood work) and holters. Whilst I had a consistently high heart rate – that is now controlled with ivabradine at the maximum dose. I was able to start exercising again and have gained my fitness back. I feel like I am almost in peak physical form. I now have what I can only describe as bad days (they do however, tend to cluster together) where my heart rate will accelerate without any obvious “trigger” such as stress, caffeine etc. I get extremely lightheaded, clammy and could almost pass out. I have a tight chest and have difficulty breathing normally. I am aware of my heart rate during each episode and it can last up to an hour or two in each instance. I have noticed that even if I have taken the ivabradine consistently, it still happens which leads me to believe it isn’t a direct cause of the IST. I may be wrong. All of my test results confirm that I also have frequent ectopic beats, larticularly during exercise – I recall reading words on my holter results like supraventricular ectopics, couplets and trigeminy runs. i have an appointment with my cardio coming up and I want to know what to expect. Is this a normal presentation of IST? If not, what else could cause this kind of thing? Thank you! I have been having a fast heart beat rate last Friday I had it checked and it was 137 and I went today and got it checked it was 123 still high but I don’t feel bad at all. I dont have short of breath or anything. My blood pressure has been high last Friday my blood pressure was 162/69. Today my blood pressure was 136/63 it was normal today high last Friday but heart rate/pulse still high. What could be going on. Thats a high baseline rate. Have you ever seen an electrophysiologist and had an electrophysiology study to rule out an arrhythmia. A full work up including blood tests (thyroid etc.) needs to be done to rule out potential underlying systemic causes also. Idiopathic, would mean truly ruling out possible causes. I’m a 25 y/o female. Last year my cardiologist said I have PVC’s. I began having a very rapid heart rate and like a fluttering feeling along with SOB and dizziness. My heart rate at rest stays around 110-130. However, when I move around just walking normally it gets to the range of 135-204. my PCP diagnosed me with IST recently. My EKG just showed sinus tachycardia. My echo was normal. My 24-hour holter was normal, but my hr got as high as 185. While I was at work my chest hurt so bad, my coworkers put a telemetry box on me and my hr got up to 204. I see my cardiologist next week, but are there any suggestions of things I should bring up to ask him? 204 on walking is very high, your ep may suggest an electrophysiology study vs. longer term monitor to investigate further. I have the alive core EKG I took it at 4:45am woke up with elevated heart rate came back possible afib. I sent it in to the tech came back sinus tachycardia and pvc (s) and PAC (s) is that dangerous to have both in 32seconds at the same time? Heart rate was 132. Had echo in February 2016 was normal had stress test normal with some isolated pacs. It could be a number of things, if it persists, you may want to wear a monitor again to characterize it. I’m a 20 year old male who has been recently diagnosed with IST. My resting heart rate is usually at the 80s and spikes to 170, and when I’m exercising its worse to a ridiculous 225 bpm. When I have my episodes I usually feel numb in the face, my hands feeling like they’re being pricked by needle, and i sometimes feel shortness of breath but this is rare. Sometimes feel like when I have my episodes my heart beats like a machine gun, rapid. Although I feel like it’s a thyroid issue, and went to my endocrinologist and he performed the ultrasound. His findings were quite shocking, he found 6 nodule goiters. That was two months ago, I’m supposed to have a follow up with him in February but i might have to make that appointment sooner. I have two heart problems at the moment, a micro valve and the IST (the cardiologist didn’t make the micro valve sound like a big deal). My cardiologist prescribed me DILTIAZEM ER 120 MG, but i am to paranoid to take them. I don’t want to end up to the ER with dangerous low blood pressure. My blood pressure is usually 128 systolic and 80 – 85 diastolic. Dr. Mustafa Ahmed what do you think of my predicament? What should i do? Should i take the medication? Is my situation LIFE threatening? IST is difficult. It is not life threatening if true IST. The key is to rule out underlying causes. The thyroid issues need sorting for sure and to be ruled out as an underlying cause. If you are worried about the diltiazem and blood pressure why don’t you discuss seeing if you tolerate a lower dose with your cardiologist. I think patients with IST should seek an opinion from an electrophysiologist. I’m a 45 year old female and have had IST for more than 10 years. My resting heart rate is 100, when I’m up and moving at work (an office job so I’m not exerting myself) it’s about 120. I’ve been exercising on a treadmill, 3 15 a minute miles so 45 min of exercise and my hate rate is generally between 147-180. I feel my heart is racing the whole time, I feel panicked, and if I bend over I get quite dizzy and see black spots . Would it be safe for me to try more strenuous activities? Could an Inhauler possibly help with breathing problems associated with IST, like when heart races with any activity causing shortness of breath? My son has been diagnosed with IST. Is high blood pressure 149/95 for a 27 yr old athletic male also a symptom of IST? He is presently on calcium blockers to reduce his heart rate. I have been diagnosed with IST, I am 52 female. I was on telemetry in UM 4 days. the years and this year it has come on and continued. Thyroid levels can be normal in labs and still have underlying autoimmune thyroid disease. Thyroiditis also possible. Go to open minded Doctor. Eat healthy and monitor thyroid. Autoimmune thyroid disease is still a mystery…….one can have it for years before it shows up in blood labs. For the last 6 weeks or so when I lay down for sleep my heart races. Sometimes if I don’t get up or if I wake up to it my whole body is shaking and I have to be up for half hour for my heart to return to normal. Is this usually benign or should I get it checked. Not due to see the cardiologist for 4 months and not really wanting to do anymore testing. can a pacemaker treat inappropriate sinus tachycardia? Can ist resolve on its own and finally what are researches going on in this field how much time can we expect for its permanent treatment to come..Can ablation using nanobots be used to target the specific rythmic cells that are causing tachycardia in near future..? Not sure if there’s any connection, but I’m a 22 year old female, generally healthy, albeit a bit overweight, but I’ve been diagnosed with IST since I was 20 years old. I’ve also been diagnosed with SEVERE hyperhidrosis. Is this indicative of dysautonomia? I have almost zero exercise tolerance, even when I was in shape and a competitive equestrian, I was constantly becoming exhausted so fast. I’ve had an echocardiogram, ecg, eeg, sleep study, 3 day holter monitor, and more, and there are no answers as to why this is happening. I have PTSD and anxiety, but I’m in treatment and recovering, and my resting HR is still around 105. I’m up to 80mg propranolol ER every night and that has helped significantly in bringing my daytime HR down to about 85, but it does have side effects. Dr, do you think there could be a possibility of my hyperhidrosis being connected to IST somehow? Other than control by the autonomic nervous system i don’t know of a direct connection. IST can commonly be seen in people that were in excellent shape while they were younger and some feel that it is enhanced by a loss of condition. For this reason its important to stay active if possible and try to regain some conditioning that may help to improve heart rate and symptoms in addition to medicines. I’m not sure if this is helpful to you, but it is typical for children’s hearts to beat faster than an adults. Children’s heart rates typically start to beat at a rate of 60-100 around 10 years old. As an infant, children’s heart rates can beat around 160 beats per minute and that’s completely normal. Of course, your daughter is 11. There are many contributing factors to high heart rates such as anxiety, pain, infection, etc, although a heart rate of 198 is still pretty high! I read and appreciated your arcicles on tachycardia and other heart issues, thank you. I have high blood pressure and I’m certain I have ITS. My heart rate goes from 41 to 136 all day long. I have an Apple Watch that tracks it and the daily chart looks like confetti, so erratic that you couldn’t hardly connect the lines. I knew this was happening but I only did my pulse and pressure 3 times a day. With the monitor that takes it every 5 to 15 minutes I was shocked to see how frequently it changed and such a different each time, from 50 at standing to 124 laying down just 5 minutes later with no exercise. Aside from never drinking again and quitting smoking, (yes, I know it’s awful) what else can I do to straighten this out? Ps I don’t drink caffeine. Im not a fan of the reliability of the current watch monitors, they are often inaccurate. 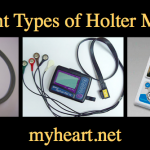 If you have symptoms then you may need a holter monitor to characterize the rhythm and rate. Can you ever grow out of Inappropriate Sinus Tacycardia? I am a 57 yr old woman and recently went to ER after a month of constant palpitations and lightheadedness. My EKG was abnormal bradycardia – trigeminy with many PVC’s but thoughout the day my heart beat pounds and gets very fast and flutters for hours. It happens really bad at night when i lay down. I find myself sitting up for like 20 min then lying down again over and over again- many nights of zero sleep. I ran into someone who said it sounds like her IST. This is my 6th visit to ER for similar symptoms since I was in my 20’s- they tell me i have lots of pvc’s and its probably anxiety. I had a whole cardiac work up in 07 and nothing was found. I am now wondering if it is undiagnosed IST. Some days are OK, I start to think its over but then it returns. At this point I have been dealing with this since early March. Longest it has ever lasted. I also get this loud aura around my head that mimicks my heart beat-loud and softer beating sounds- its so odd. I can tell the palpitations are going to start when the noise starts. Does anyone else experience anything like this? Do you have any other thoughts Dr Ahmed? You should certainly be evaluated by an electrophysiologist. Hi there Dr Ahmed, I had an ablation last year for AVNRT which was successfully ablated at the slow pathway. 1 week after ablation I woke up with my heart pounding at 120bpm increasing to 150 bpm on standing and walking. I was short of breath and dizzy as well. This lasted almost 8 hours. My normal resting rate at the time was 70 bpm. Normal echo except mild regurg. Since then I have been intermittently getting episodes where I get very weak, feel like I am going to pass out, short of breath, chest pain sometimes, rapid heart beat, sometimes this happens just walking up the stairs or blow drying my hair or walking across the room And seems to be exasserbated response to what I’m doing or stimulated by bending over and other times I will just be sitting in my car or doing whatever and I will get the above symptoms and it will be sustained and last several hours. It is all sinus tachy. I have been seeing my ep every 4-6 weeks and am on metoprolol succ 50 mg everyday. We are also trying Midodrine right now but I don’t feel any different on it. We have tried diltiazem which also did not help. I am still having symptoms on the metoprolol although my heart rates do not go as high and stay in the 100-130 range. I have the Medtronic implanted monitor as well. 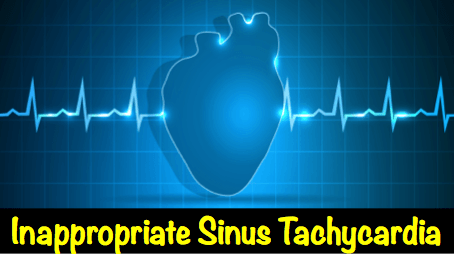 My EP is not convinced of in appropriate sinus tachy because he states that usually with IST the heart rate is always elevated …. not spiking like mine. He states it may be a nerve problem, a volume problem, a blood pressure problem, or a problem with my sa node ( which is usually 90-100 over 55-65 on the meds ) Any thoughts on this ? It is not stress or anxiety. I am in a good place in my life and do not really have stress although I will say this has created some anxiety for me in dealing with this for almost a year now. It sounds like some form of dysautonomia process. These are complex and often frustrating issues. Its good than an EP is dealing with the conduction issues. If the symptoms persist, you may want to see a dysautonomia specialist. Thank you for reviewing my post and your comments. I actually just saw my EP last week and he suggested I go to a Dysautonomia Center for further work up. So I am working on that process now. I wonder if you may have an opinion on if Dysautonomia is seen post atypical AVNRT ablation as this is when the symptoms started ? Thank you for your time.